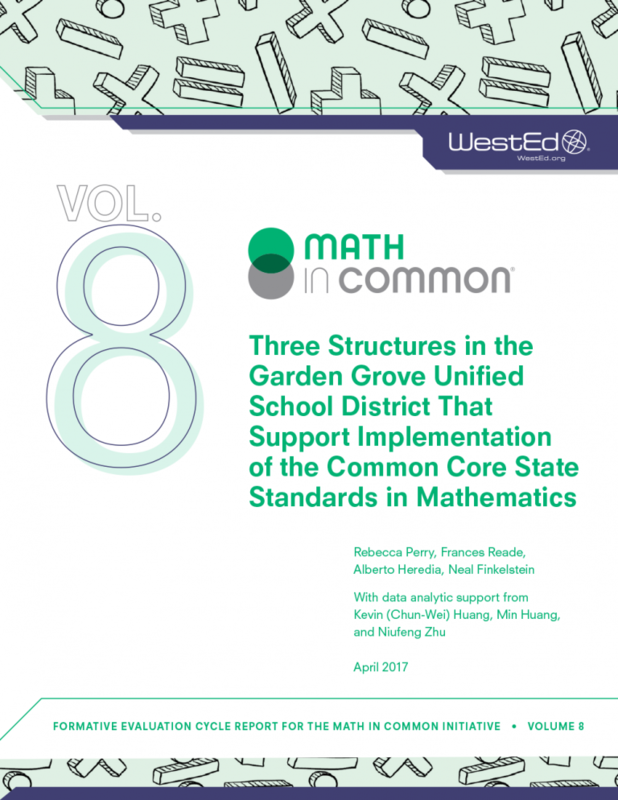 The five-year Math in Common (MiC) initiative supports a formal network of 10 California school districts as they implement the Common Core State Standards in Mathematics (CCSS‑M) across grades K–8. 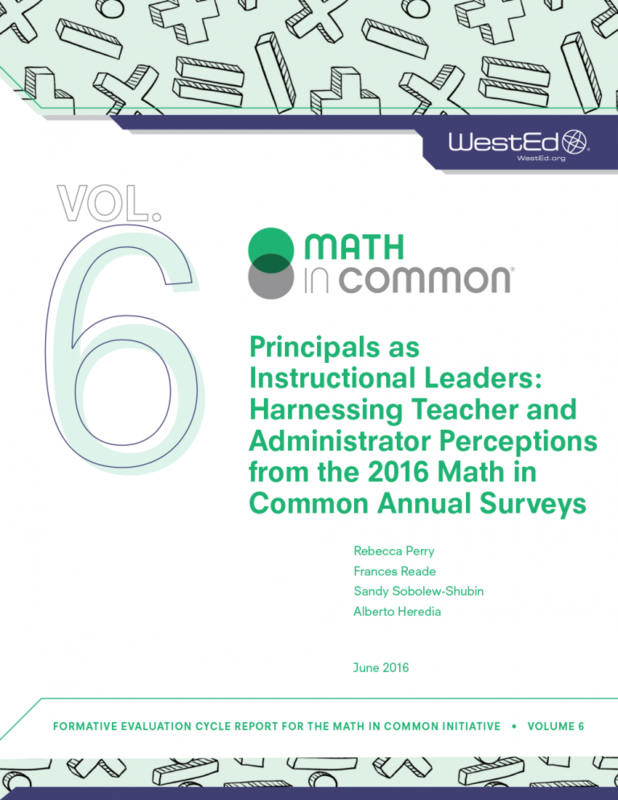 With the introduction of new math standards, many U.S. school districts are turning to coaches to support teachers in interpreting the standards and bringing them to life in the classroom. What do districts ask their coaches to do and why? 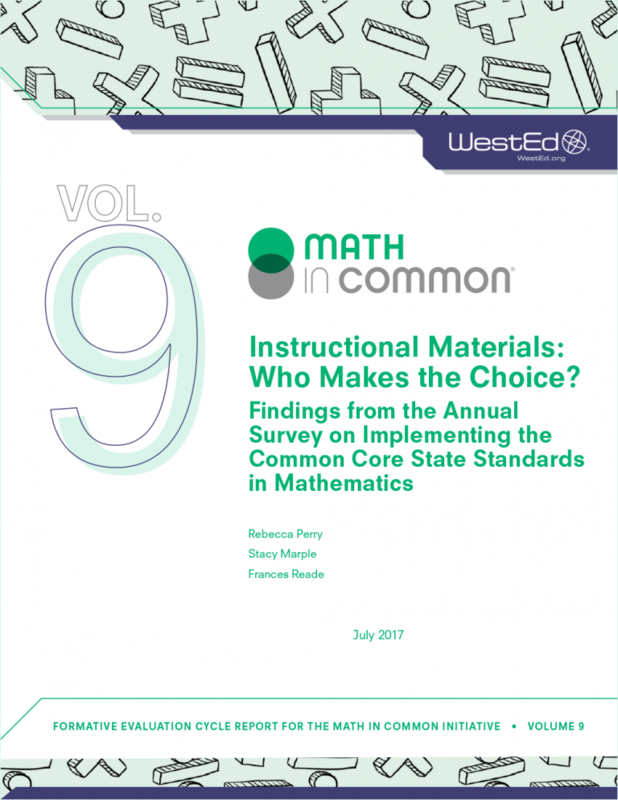 How do district systems and choices about resource allocation for coaching support or hinder standards implementation? Have the demands of coaching changed since new math standards, or have districts’ common understandings about what works been modified? The report offers recommendations designed to help school districts consider how to structure coaching activities that will work best in their environment.